Legal agro-chemicals importers have committed to retail affordable fertilizers packages to fight against various frauds in this sector for the sake of small holder farmers. The move is aimed to halt illegal repackaging of fertilizers and pesticides. 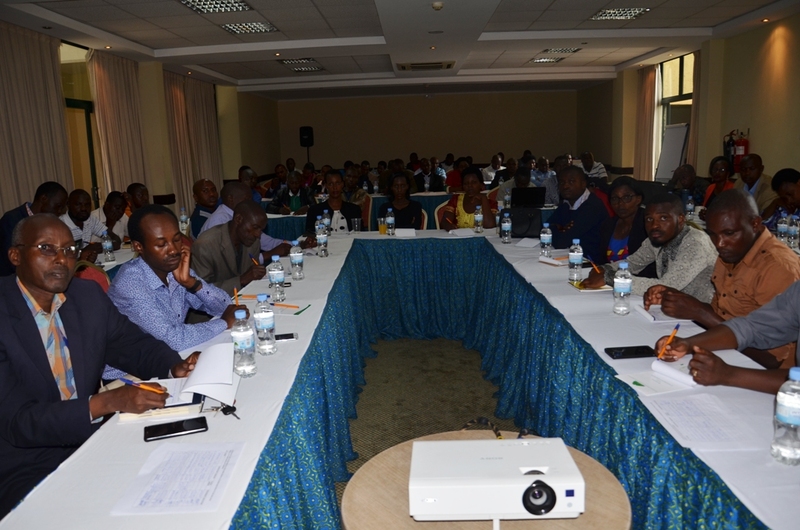 This was been discussed in a meeting with agro-dealers in the country on Thursday in Kigali, following growing concerns of counterfeit agro-chemicals sold to small holder farmers across the country. Small holder farmers need small quantity of fertilizers, and they are packaged in big sacks. Most of the times fraudsters use this gap to sell fake chemicals. Spridio Niyodusenga works for the Agrotech Company. “We are fade up with people importing fake chemicals, aside causing losses to the country and to licensed importers like us, those substandard chemicals are hazardous to people’s health”, he said. Niyodusenga says, normally they import sacs of 25kg and above, which at times cannot be afforded by small holder farmers or even some retailers. “The next step therefore, is that we’re going to work with manufacturers to import small sized packages”, he added. Evariste Safari, chairman of the board of agro-chemical Advisory Council said it’s time the long hand of the law caught up with the culprits. “Imagine someone who sells fake agro-chemicals to farmers who will use them in crops that will be eaten by people and even your children, they are so many out there and we know them all”, he wondered. 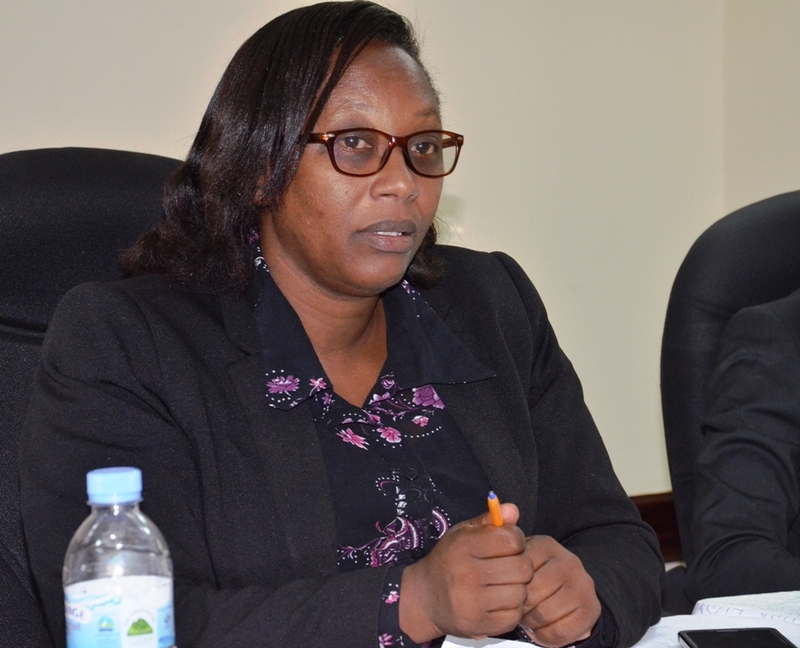 Beatrice Uwumukiza, Director General of Rwanda Agricultural and Livestock Inspection Services (RALIS) echoed that fake chemicals in Agriculture and livestock have caused losses to farmers citing an example of recent cases in the Eastern Province where twenty cows died after being sprayed fake drugs which have been fraudulently imported from Tanzania. She said since March 2018, an inspection was conducted to 466 agro dealers shops, and 144 among them have been given trading licenses, this Thursday. 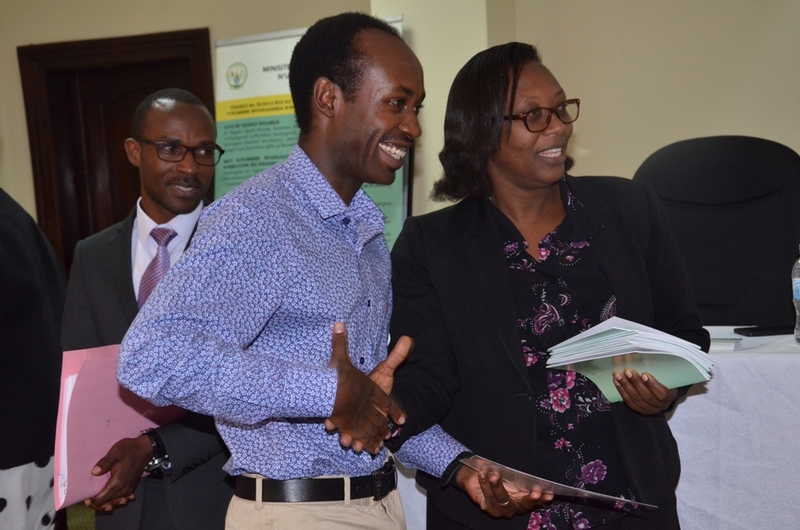 There are over than 1,000 agro-chemical suppliers in Rwanda, according to Uwumukiza. 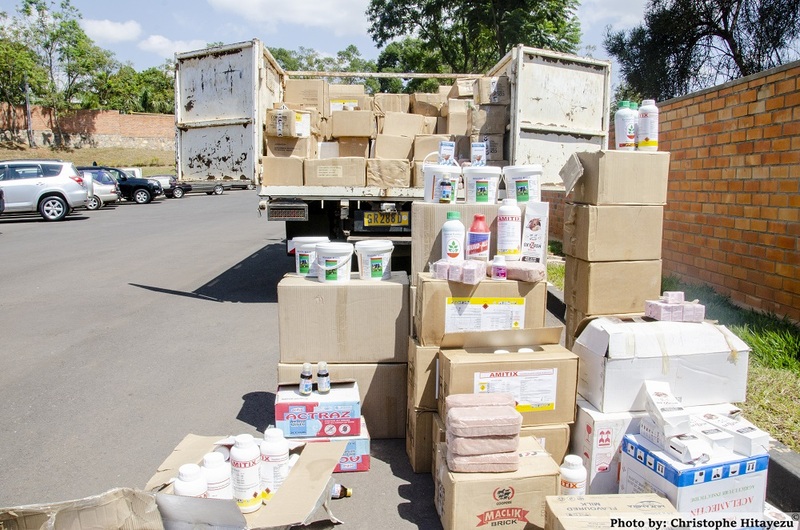 During an inspection campaign mounted by Rwanda Agriculture Board early July this year, in veterinary pharmacies and stores countrywide, counterfeit and expired veterinary products worth Frw24.970.925 were seized.